On 10th June you answered a reader’s suggestion on compulsory use of sidelights in bad weather during daylight hours by saying that new cars now have to have daytime running lights (DRLs), so the compulsory use of side lights is unnecessary. I have two issues with DRLs, based on observation of other people’s vehicles, as my current Citroen C3 predates the law that made them mandatory. Firstly, I often find that DLRs in oncoming vehicles dazzle me. They seem to be brighter than fog lights, which, as far as I’m aware, are still not supposed to be used unless visibility is less than 100 metres - although this is one of the driving laws which is rarely if ever enforced. Secondly, as far as I can tell, DLRs are only fitted at the front of vehicles. This means that, in reduced visibility due to bad weather, or at dusk and after dark, drivers sometimes seem to think that bright DLRs are enough illumination whilst being unaware that their vehicle isn’t showing any form of red light at the rear of the vehicle. My FIAT Strada, which I bought new in 1983, allowed me to set the light switch so that the sidelights and tail lights came on whenever the engine was running. This seems like a much better system than the current DLRs. 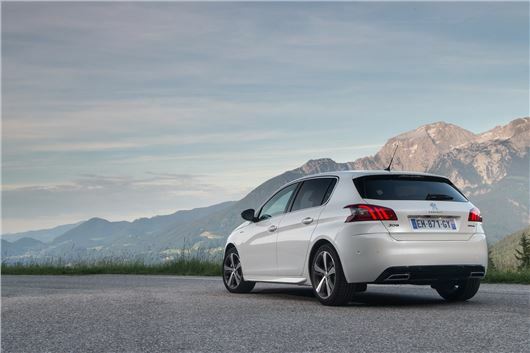 Sensible manufacturers such as Peugeot/Citroen are now fitting DRLs front and rear. This not only protects the rear of the car in poor daytime conditions, but if the driver gets into his car at night facing a wall, turns on the engine and sees hid front lights come on, his rear lights will also come on rather than remain un-illuminated. Who is responsible for maintaining white lines and potholes at motorway services? All the services I use are awful and there never seem to be any repairs. The white lines are particularly important, as it is often unclear who has right of way at junctions, whether an access road is one or two way, and which way round you should circulate in the car park. As services do not have a standard layout, this can be confusing and dangerous. I assume that someone has responsibility, in which case why is it not enforced? I bought a new Nissan Qashqai 1.6 DCI Connect last year. Occasionally, on a long steady drive, the engine seems to misfire- just for a fraction of a second. It just feels as if we've driven over a cattle-grid at speed. It happens whether Cruise is engaged or not. The car has been back to the Nissan dealer in Grantham, but having had a diagnostic test on the computer, he can find nothing wrong. I was asked to log the date and mileage of this occurrence and I have done. It happened at 10,864, 12,503 and 17,700 miles. We love the car, by the way. Any suggestions? I don't want it to get any worse. Apparently, Nissan themselves have not had this happen before. I have exactly the same engine and drivetrain in a Kadjar, now approaching 14,000 miles, and never experienced the same thing. Might be down to the quality of diesel you are using. They run best on Superdiesel such as Shell V-Power or BP Ultimate. I have just purchased a KIA Niro Hybrid. I have been told by a friend that I should never use jump leads on this car. Is this correct? We had a hybrid and we used jump leads on the 12v battery, no problem. There will be a special point to connect it, usually in a box under the bonnet. Connect the positive leads battery to receiver positive terminal first. Then the earth of the donor car to the body (not the battery) of the receiving car. I have a 2011/61 Audi A8 3.0 TDI SE with 93,000 miles. My annual mileage has dropped from about 25,000 a year to about 12,000 a year. I realise this is considered the minimum mileage for a diesel to be suitable and I think I risk possible costly DPF problems as well as the fact that new Government regulations could substantially cut the value of this car. The car is in good condition, but with 93,000 miles inevitably some things will go wrong, and I will eventually have to change the car simply due to its age. What would you do: change it now to a new BMW 740e petrol hybrid, or keep it going until it packs up? This A8 is a nice car. Great engine. But faces being prohibited from a number of city centres in the near future. Already heavily depreciated: /used-prices/Audi/A8/2012/?q=3.0+TDi/ The DPFs are £1,000 a side, or clean by the Ceramex process for about £300 a side. DPFs filling with ash is probably not too far away. The 740e is the future. But the financial jump from your car to this is a huge one. I have a 2016 VW Golf Match 1.4 TSI 125 with 7-speed DSG gearbox. I have owned the car from new and it has done just under 12,000 miles. After driving in slow dribble traffic for around 30 - 45 minutes, quite common for me in London, the car develops a loud squeal when pulling away, particularly on a hill or slope, and there is an echo of the squealing noise as it changes low gears. My local dealer thought it might be a turbo problem and changed the turbo under warranty. This has had no effect. The dealer has tested the car and says there is no noise but, of course, he doesn’t drive it for 45 minutes into London to simulate my driving. There is clearly an issue with this model of Golf because my wife has exactly the same spec car (7,000 miles) and sure enough the same squealing is heard after 30 - 45 minutes of slow traffic. I would be grateful if you could offer me some advice. I would like to change my current Ford Focus 1.6 to small SUV with 4-wheel drive option, petrol engine and auto gearbox. What would you recommend and why? Suzuki Vitara S 1.4T Boosterjet 4WD auto, because if offers good mpg, low CO2, decent performance and good handling. Just not the best looking SUV (best in red or met grey with black wheels). Which in your opinion is the better buy? Latest 2017 Model Mazda CX-5 with 2.0 petrol engine? Nissan Qashqai with 1.6 DiG-T petrol engine? If you were asking Nissan X-Trail 1.6 DiG-T v/s Mazda CX-5 I'd say maybe X-Trail because of its 7-seat versatility. Qashqai v/s CX-5, CX-5 wins. I am looking to change my LandRover Freelander diesel for a similar style of car. However, with all the uncertainty over diesel regulations, etc., I would prefer to purchase a petrol driven vehicle. An auto gearbox is essential, as is aircon. I like the look of the new Peugeot 3008, but the petrol engines appear to be underpowered. They aren't. The 1.2 Puretech 130 has 130PS and 230Nm torque, but demand has exceeded supply of 3008s with this engine with the EAT6 box, so it is easier to get one with the 1.6THP 155PS and EAT6. In your reply "LOOK NO FURTHER" you recommend petrol hybrids for the next 10 years. But doesn't that mean you have the cost, complexity and service needs of two engines instead of one. What's wrong with plug-in electric? Limited range. And having to plug them in to a suitable (special) powerpoint. In fact petrol hybrids have fewer (not more) moving parts than a conventional FWD car, everything operates at lower stress, maintenance costs are lower and potential life is much greater (lots of Prius taxis about with more than 400,000 miles). The first thing that fails seems to be the secondary electric inverter cooling pump. My new 2017 VW Tiguan 2.0 TDI 150 2WD DSG developed a clonking noise after only 1,500 miles. It only happened when the car had been sitting overnight and the noise only occurred once when driving off in the morning. VW Technical asked my dealer to change the DSG7 gearbox. I’m not sure if its dry or wet type. I like to keep vehicles for 5 years. Should I consider extending my warranty after 3 years? My wife has a Vauxhall Meriva, which she got basically for her mother to get in and out of, but her mother has recently died and it is somewhat of an old fogey’s car so she would like a replacement of a smallish 4WD auto. She doesn’t mind if it’s petrol or diesel, but with a good seating position. I think this rules out the FIAT Panda, but wondered if you could think of anything, many thanks. You’re right. No such thing as a Panda 4x4 auto. Best might be a Peugeot 2008 1.2 Puretech 110 EAT6 with Grip Control or a Suzuki Vitara S 1.4T Boosterjet 6-speed auto 4x4. You can get a FIAT 500L Trekking 1.3 Multijet Dualogic auto, but I wouldn't. I have been offered a 2001Y Mercedes E320CDI avant-garde estate car with only 40,000 miles for about £3,500. It has one father/son owner. I am retired and would drive far fewer than 10,000 miles per annum. Would I be sensible to buy it? Is it overpriced? Or am I asking for trouble? HJ has always written that Diesel is not for low annual mileages. This car comes from the nightmare rustbucket period of Mercedes Benz production. W210 E Class were the worst. Run a mile. My husband (82) and I (74) need to replace our much loved. 2005 VW Golf Plus Auto with something similar, but with overall dimensions no greater than at present. We require an automatic with a high seating position, good luggage capacity (we transport a substantial wheeled walker for my disabled husband) and an engine to cope with North Yorkshire’s rugged hills. A local dealership would be an advantage. Hoping you can make some useful suggestions as to what we may consider? I have an 8-year old Jaguar X-Type 2.2 diesel auto, bought new in 2009, which is shortly due for its annual service. Mileage is 65,000 and to date it has been very reliable. I intend keeping it for another few years and apart from usual general checks, oil and filter changes are there any other essential parts that require replacing? Is there a cam belt (or other belts) that need changing or other important parts and when should the coolant be changed? That's a Ford timing-chain engine. Reliable, but a bit dirty. Yours is almost sure to have a DPF. The same engine in Mondeo IIIs never did, but the Mondeo III was replaced by the Mondoe IV in 2007 and it stayed longer in the X-Type. Smart move to change the coolant because the corrosion inhibitors eventually degrade. I own a Mazda 6 2015 2.0 automatic. It has done 82,000 miles, been serviced regularly and I intend to keep as long as I can. Do you think I should change cambelt, tensioner, water pump and alternator belt? I am contemplating buying a Mercedes SLK as a fun car. I have seen many models 1996 onwards, around £4,000 with about 50-60k on the clock. What are the pitfalls and which model engine wise should I avoid? It doesn't take a lot of planning to avoid paying the excessive prices charged at motorway services by filling up at the start of a journey. Most petrol cars will get over 400 miles from a tank and diesel cars can run for more than 700 miles on a tank. Now that the ridiculous idea of basing road tax on carbon dioxide outputs has been largely abandoned, will manufacturers at least include a spacesaver spare or even a full size spare rather than the stupid puncture repair can and pump? The unintended consequences of a graduated road tax system are nothing new. In the 1930s the RAC HP rating based on a bore and stroke formula led to inefficient undersquare engines. With the current system, the Treasury was not making enough from road tax because manufacturers tweaked engines to emit below the lowest band of carbon dioxide output criteria. That they are using small capacity, highly stressed engines to achieve this means that second or third owners of the cars will face high repair costs. Of course this will not happen for at least 5 years, meaning that sales of new cars will not be affected. In years gone by, planned obsolescence was based on bodies rusting away. Now it is based on electrical systems such as ABS and ESC failing and being uneconomical to repair, although turbo chargers on small capacity petrol engines may also have an impact. Showroom tax of between £0 and £2,000 is still based on CO2, and manufacturers are still fined by the EC if their corporate average CO2 exceeds 130g/km. This is why JLR charges £3,000 more for a higher CO2 Ingenium petrol engine than an Ingenium diesel that is more expensive to make. BMW does the same to a lesser degree. EC fines per car amount to: €5 for the first g/km over 130g/km; €15 for the second g/km; €25 for the third g/km; €95 for each subsequent g/km. From 2019, the cost will be €95 from the first gram of exceedance onwards. Manufacturers selling between 10,000 and 300,000 cars per year (such as JLR) can apply for a fixed target of a 25% reduction from their 2007 average emissions for 2012-2019, and a 45% reduction from the 2007 level as of 2020. I have a Vauxhall Astra 1.6 Twintop that I have had since new in 2013. I have enjoyed the drive and it has been 100% reliable, apart from 2 (expensive) problems with the roof mechanism. I am now thinking of changing it and wonder if I should go back to a traditional 'soft' top on the premise that the mechanism is less complicated and therefore less prone to problems - would you agree? Reliability is all important to me, both drive and hood, so any suggestions as to what I should buy? I would like a similar size, both engine and overall dimensions. You're making sense. Electric folding hardtops are generally more trouble than electric folding soft-tops. The simplest is the Mazda MX-5's. You can open or close it manually, one-handed in 5 seconds. The FIAT 124 Spider shares this top. If you need 4 seats, the most popular 4-seater convertible is the MINI. The Audi A3 1.4/1.5TSI base models are bigger and good. Or a BMW 2-Series convertible. At about 10.30 am on Tuesday 23rd May 17 I visited the Honda dealer at Scunthorpe. This was in order to have a diagnostic check carried out regarding an SRS warning light showing on the dashboard of my 1995M Honda Accord. No other work was to be carried out. We were given a lift into town and were subsequently picked up in the afternoon and arrived back at the garage around 3PM. I there spoke to the service manager who informed me that the SRS system had a fault code but this had been reset. He also gave me a visual safety report document that noted some issues, including problems with the front pads and both front and rear discs. I was also told about a faulty bulb and I asked for this to be replaced. I then paid the invoice of £75 plus a further £2.26p for the bulb. At about 3.25PM my car was driven to the front of the premises from the rear car park by one of the technicians and left next to the front showroom. I was then handed the keys and got into the car with my partner. I then started the engine and checked all the warning lights on the dashboard. On checking the lights I saw that after starting the engine all the lights went out except for the brake warning light which stayed on (with handbrake released). I then checked the foot brake and the pedal went straight to the floor of the foot well. Had I not checked the brake pedal before driving off we would have driven onto the road only a few yards away and likely have been involved in an accident. The brakes had been working correctly before arriving at the garage and no warning light had ever been displayed concerning the brakes. On finding this fault I returned to the service desk and informed the manager of what had occurred. He then had my car taken back to the workshop. After a short time he asked me to accompany him with my partner to one of the bays and my car was on a lift. Towards the back of the car I saw brake fluid dripping from one of the brake pipes. He suggested that I was responsible for the brake failure. I totally refute this assertion as the brake light must have been on and the brakes defective immediately prior to me being given the keys. In addition there was no visible pool of brake fluid where I had been given the keys. On a health check form given to me the brake fluid level was ticked as green. Assuming that is accurate the brake failure must have happened just prior to us being given the car which I find hard to believe. I believe that the garage is responsible for the defective brakes and this amounts to supplying a vehicle in an roadworthy condition and is an offence under Section 75 of the Road Traffic Act 1988. In addition I disagree with faults relating to the discs/pads as I had new calipers fitted in January 17 (all 4) and none of the items mentioned needed any work. There had also been no mention of corroded brake pipes at that time or on the previous mot. We had to leave our car as it was now undrivable and in a dangerous condition and given a loan vehicle as I live in Mansfield. In view of the serious nature of this complaint I shall be sending a copy of this letter to Trading Standards and also to Honda UK. We do not understand how the service manager can say that the brake failure is my fault. In addition I do not believe that I should have to pay for a repair in these circumstances and find the circumstances of this incident to be very suspicions. I also checked my drive where my car is always parked and there was no sign of any brake fluid so do not believe there was any problem prior to arriving at the garage. On collecting my car following repair, payment was made on 27-5-2017 under protest. For information, I had a new MoT carried out on 1-6-2017 and the front discs and pads were found to be in good order with the front pads being only about 50% worn and not as on the garage health check form (new discs having been fitted not long ago). I think what has happened is that, as part of the safety check, the mechanics will have scraped dirt and rust from suspicious sections and unions of the brake pipes and, in doing so, dislodged or weakened a lump of rust that led to the system losing its fluid. The car is M reg and therefore about 22 years old, so some corrosion of the brake pipes and unions is quite likely. (These were advisories on my father's 7 year old Toyota that was MoT'd last week.) So I don't think the dealer was at fault here. Just a combination of circumstances.